While it can be tempting to take everything but the kitchen sink on a trip overseas, it is actually more practical, and often enjoyable, to travel with as little luggage as possible. So before heading off on your dream trip to London consider whether it will be more sensible to be able to get on and off the London Underground with a compact holdall rather than a giant suitcase – your fellow passengers will certainly appreciate it! Also, you may find it a little easier on yourself and your back if you can avoid having to luck around heavy cases. The starting point is picking the correct size of bag – your contents will always expand to fit the space – so go for a small one. Ideally, you want a robust travel case that will be able to fit in a plane’s overhead compartment with the least amount of force. If it doesn’t fit, then you need to check it in and spend time waiting for it to appear on the luggage carousel. It also reduces the risk of the bag disappearing and ending up in another country! To fit the most amount of clothes in a small space then it is advisable to fold and roll. This way you can fit more in – however, if you end up with more than a third of your available space being taken up by clothes then you are packing too many to start with. Remember, there will be plenty of options to wash clothes. London hotels near Paddington have a laundry service and there are many affordable launderettes in the capital. So opt for good quality items, that can stand up to being washed and tumble-dried. One way of saving space is to go for versatile items that can be switched from day to night, or causal to smart, with a few simple accessories. Cotton-poly blends are also a good option if you want to avoid having to spend time in your hotel room ironing. Believe it or not but you can pack too many shoes – opt for a couple of pairs (remembering to wear your heaviest pair rather than packing them). If you go for a good basic shoe, you can avoid the need to bring a different pair for each outfit. Also remember there will be shops in London so you don’t need to being a complete supply of things you will use during your stay. It is very likely you will be able to pick up your favourites toothpaste or shaving foam so consider whether you really need to waste precious space bringing it with you. The majority of hotels now have hair dryers available on request so you don’t need to bring one. You may want to bring hair straighteners but consider whether you should just embrace your curls during your trip. Invest in some decent quality Ziploc bags so you can separate items within your bag. This makes it easier to find and also limits on what you need to take. It can also prevent other items being damaged by any spills of toiletries etc. A smartphone can be an ideal travelling companion and are now capable of replacing a number of other items. Your phone can be a music player, a camera, a notepad, a map, a e-book reader as well as a way of calling family and friend back home. It is also good to remember that the majority of new electronic devices tend to switch voltage automatically when you plug them in so you may not need to pack the old-fashioned travel converters. Instead, opt for a three-way splitter into a multi-country adapter to ensure you can charge your phone wherever you go – this way you only need to bring the USB leads rather than individual chargers. If you are travelling to London by plane then there are a few tips to maximise the amount of stuff you can bring without it counting towards your total luggage allowance. Make sure you pop your coat on and put any extra items in your pockets as airlines do not track how much you are wearing. It is probably not sensible to try to wear all your clothes onboard in numerous layers, but a few extra bits will not undermine your travel comfort too much. 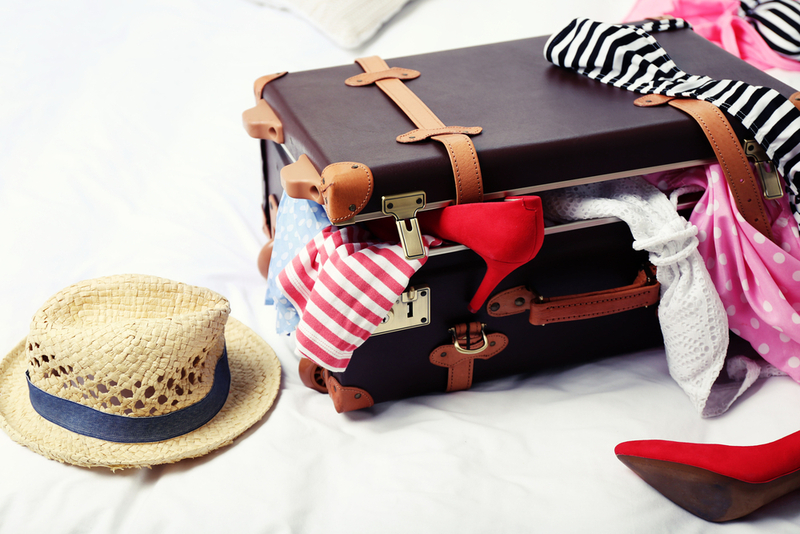 As well as a carry on, you are allowed to take a small personal item – usually a handbag or small backpack. This means you will be able to maybe take back a few souvenirs etc. Remember also that duty-fee doesn’t count so you can make any airport purchases without having to struggle to fit it in your luggage. Share the post "Keep luggage to a manageable level"
This entry was posted in London Travel Tips and tagged travel tips. Bookmark the permalink.